Note: In the original version of this article, as published in the Examiner on Nov. 7, several large blocks of text were accidentally omitted. The article is to be reprinted in the next day or two. 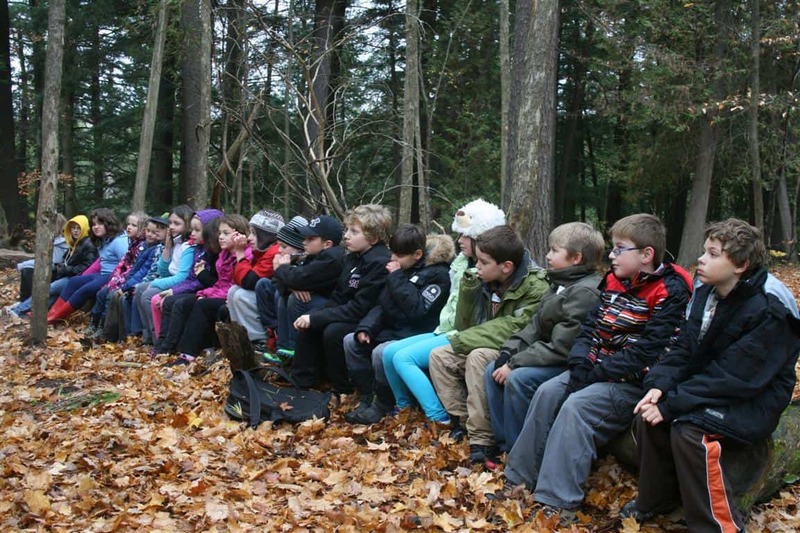 Last week, I had the pleasure of spending a day in Jackson Park with Helen Bested’s grade four class from Roger Neilson Public School. From the moment they stormed off the bus until their reluctant departure, the students had the time of their lives. The innate love of nature that all children possess immediately kicked into gear and they clearly couldn’t get enough of the place. Seeing their unbridled energy and enthusiasm for all that Jackson Park has to offer, I couldn’t help but think how sad it is that so many kids these days are missing out on the pure joy of connection with the natural world. Within minutes of arriving, the children stood in rapt attention as they observed a Great Blue Heron catching and eventually swallowing a large fish. They also watched and listened with keen amusement as I was able to use pishing (a bird attraction technique) to bring several chickadees, jays and nuthatches to within several metres of the group. Over the course of the day, they tested seed dispersal by launching maple keys into the air off the old concrete bridge; learned how to identify the Park’s iconic trees such as the White Pine; wore blindfolds to explore trees simply through their sense of touch; held handfuls of fallen leaves to their noses to fully appreciate the spicy fragrance; and used their wonderfully-sensitive ears to hear the gentle calls of tree-top birds and the murmuring of the creek – the buffer zone of trees surrounding the park reducing traffic noises to a far-off hum. As we walked along, the kids led me to what they were sure was a fox den, pointed out squirrels high in the trees and, when they stopped long enough to catch their breath, asked me why in the world adults would want to put a bridge through this wonderful place. Their enthusiasm shouldn’t come as a surprise, however. 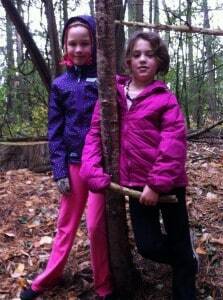 Think about the impact that playing in woods, fields and other natural areas had in your own life. I would be willing to guess that they are among your strongest childhood memories. They are certainly are for me. These experiences allowed all of us to develop independence and confidence in an environment away from adult supervision, to solve problems on our own, but yet usually be close enough to home to feel safe. We built forts, caught frogs and turtles, got “soakers” but usually came home with the sense of having lived an adventure. Today, childhood play and exercise is all about highly structured and adult-supervised activities in gyms, arenas, swimming pools, play parks and on sports fields. In the process, nature is becoming increasingly alien and our children’s physical and mental health are paying the price. 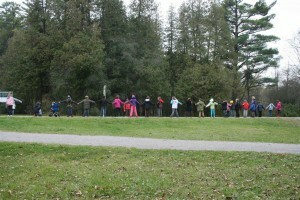 Students from a grade 4 class at Roger Neilson Public School form a line to demonstrate the width and location of a proposed bridge across Jackson Park. Clearly, we should be taking the needs of children into account as we move forward with transportation planning in Peterborough. Their needs should receive as much priority as the needs of people of other ages and the requirements of business. In a recent document entitled “Child and Youth-friendly Land-use and Transport Planning Guidelines for Ontario” by Richard Gilbert and Catherine O’Brien, the authors explain that the needs of children and youth require the implementation of “softer,” less intrusive and more inclusive transport systems. Paving over kid-friendly green space to put in a disruptive, noisy and polluting new road that runs close to five schools is the opposite of the direction we should be moving in. Over the past 9 months, a Canadian team of social and natural scientists has conducted a literature review that looked at the benefits of nature to our health and well-being. The document “Connecting Canadians with Nature: An investment in the health and well being of our citizens” will published in early 2014. The findings, all of which are grounded in evidence, are clear – nature is good for us. It is good for our economy, our health our spirit and identity, our personal development and our environment. 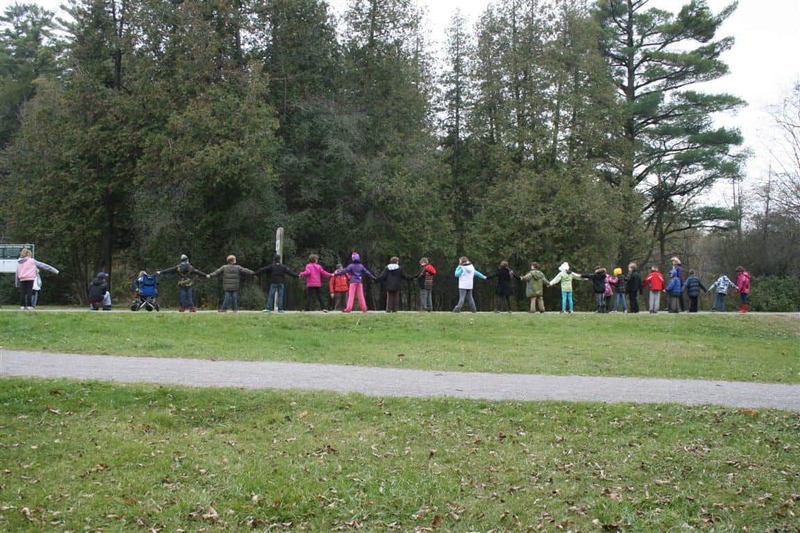 A preview of the report states that “contact with nature has been found to lower blood pressure, strengthen the immune system, help mitigate disease, and reduce stress levels… nature plays a pivotal role in nurturing relationships by bringing people together. Many studies have demonstrated that nature makes us happy and more generous. Urban residents living near natural environments tend to know more neighbours and feel a stronger sense of belonging to the community … nature provides an escape – a nurturing therapeutic environment. Contact with nature is essential for the development of positive environmental attitudes and values and a lifelong relationship with the natural world.” Peterborough’s abundant, easy-to-access green space and trails is clearly one of the main reasons people choose to move, work, raise families and even come to retire here. “We chose Peterborough, not Ajax,” is something I hear time and time again. As responsible, informed citizens, we need to ask Council to direct staff to pursue non-Parkway options. There are alternatives that compare well for transportation, won’t create massive debt and taxes, and will save our valued green space and trails. At the very least – and especially in light of the referendum results from 2003 -Council should follow democracy and fair process. This means not making a Parkway decision until all studies are released, the public’s views on the city’s future (Official Plan Review) are implemented, and priority transportation improvements are completed. We want a future that is unique to Peterborough – not cookie-cutter, non-innovative versions of what has always been done everywhere else.